Yesterday, when I talked about how I've been doing my fair share of lazing about this summer, reading books and eating grapes that my sweet husband peels and pops into my mouth. 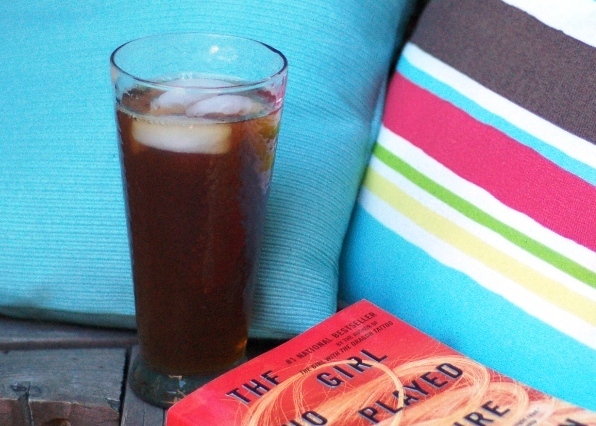 Well, my official lazing about in the summertime drink is unsweetened iced tea. Un. sweetened. Sweet tea makes my eyeballs twitch, no offense if it's your drink of choice. But really, twitching eyeballs. 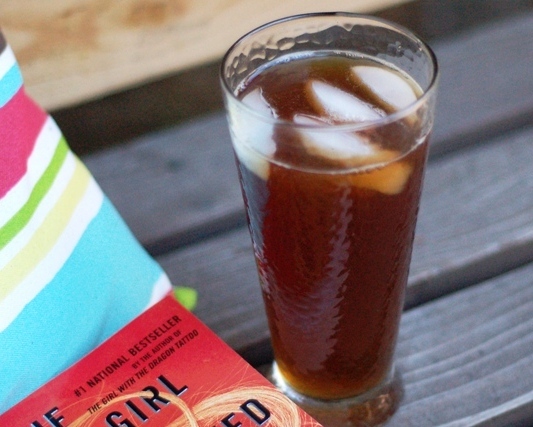 I grew up drinking sun tea -- the sort you leave out all day in the (wait for it...) sun. The water heats up, the tea steeps and the magic happens. I don't have time for that in my life nowadays, not to mention I forget about the jar sitting out on my deck half the time... so a few years ago I started making the shortcut version. Easiest thing ever. Get ready for it, iced tea lovers. 1. Almost-boil some water. Don't actually let it boil, just get it super hot. 2. Fill your pitcher halfway with the hot water, and let the tea steep. You're going for double-strength tea here, so don't be shy with the tea bags. If you're feeling like a daredevil throw an herbal tea bag in for fun -- mint, raspberry... surprise me. 3. 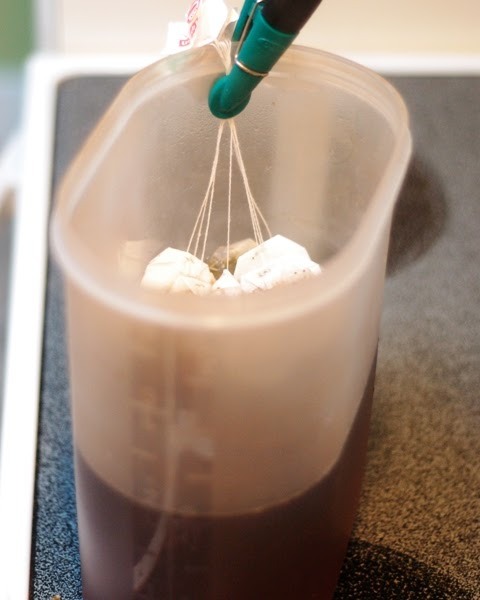 Remove the tea bags after 15-20 minutes, and add lots of ice. 4. Once the tea has cooled down, which should only take a minute or two if you add lots of ice, finish filling the pitcher with cold water and consume large quantities of it. Eschew all water in the months of June, July, August and instead drink gallons of iced tea while reading and not painting your crown moulding. Do it. You know you want to. I almost do the same way! I put enough water in a pot to fill half my tea container (which holds a gallon). Then I put 12-14 teabags with ends tied together over a wooden spoon laid across the pot so they hand into the pot. Bring to boil then immediately remove from heat and let steep for as long as you like...I like strong tea. I like barely sweet, too, so I add a dash of sugar right before it comes to boil. 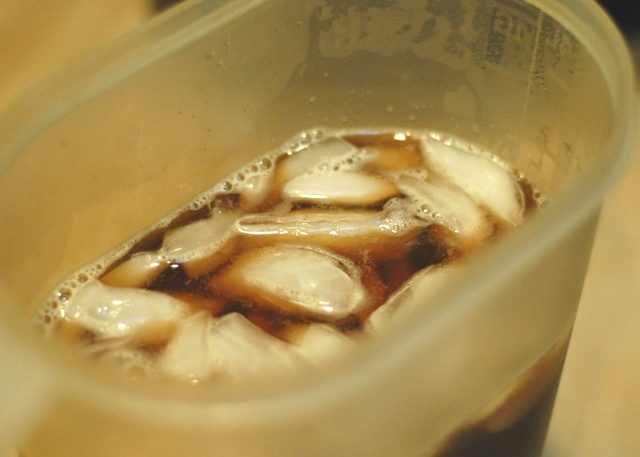 When cool I pour into container & add water to fill or do with ice cubes as you do! Awesome tea! Glad someone else got tired of doing sun tea! I'm definitely going to try and make this over the weekend. Its super stinkin' hot here in Malta right now and I'm dying. Its been like this all summer and we still have another month of warm weather to go, ugh! This should definitely help me out.